Marriott Bonvoy ist der neue Name des Nachfolgers der 3 Programme SPG – Preferred Guest, Marriott Rewards und Ritz-Carlton Rewards. Stichtag ist der 13.02.2019 und alles wird auf diesen neuen Namen umgestellt. Der Name wurde ja schon seit November gehandelt, als die Markennamen eingetragen wurden. Platinum Premier Elite Ambassador just with Ambassador. Marriott International präsentiert Marriott Bonvoy, die neue Marke, die die aktuellen Kundenbindungsprogramme – Marriott Rewards, The Ritz-Carlton Rewards und Starwood Preferred Guest (SPG) – ersetzt und die unübertroffenen Vorteile, das Single Loyalty-Portfolio und die im letzten Jahr angekündigten Erfahrungen widerspiegelt. Marriott Bonvoy ist auf der Überzeugung aufgebaut, dass Reisen uns alle bereichern und die Macht haben, die Welt zu bereichern. Marriott Bonvoy startet am 13. Februar 2019, wenn das Logo und das Branding auf den Markt kommen. Das neue Kunden Bindungsprogramm heisst Marriott Bonvoy. Das sind alle Marken aus dem Marriott Kundenportofolio. Als grosser SPG Fanboy, bin ich skeptisch, aber vielleicht sollte man Marriott Bonvoy eine Chance geben. Mal sehen, denn ich werde es beobachten. Marriott International today unveiled Marriott Bonvoy, the new loyalty brand replacing the current loyalty brands – Marriott Rewards, The Ritz-Carlton Rewards and Starwood Preferred Guest (SPG) – and reflecting the unmatched benefits, single loyalty portfolio and experiences announced last year. Marriott Bonvoy is built on the belief that travel enriches us all and has the power to enrich the world. 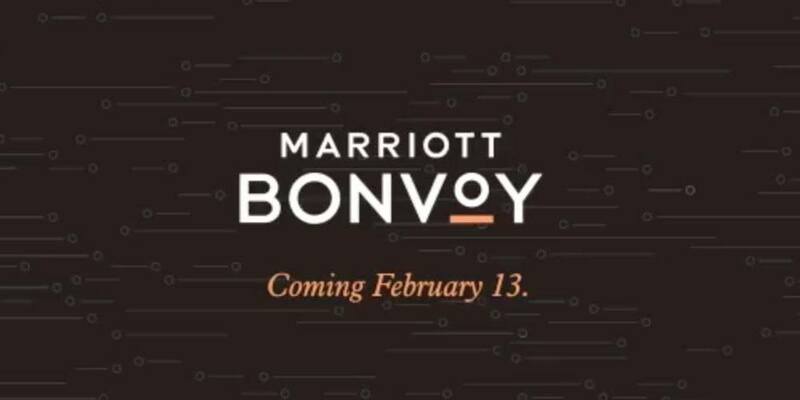 Marriott Bonvoy launches on February 13 when the logo and branding begins rolling out across all consumer touch-points, including on property, marketing and sales channels, digital, mobile and co-brand credit cards bolstered by a multi-million-dollar global media campaign starting in late February. Beginning on February 13, Marriott Rewards Moments and SPG Moments will become Marriott Bonvoy Moments, which together with Marriott Moments will feature approximately 120,000 experiences in 1,000 destinations available for purchase or by redeeming points. In addition to accessing locally relevant sights and excursions, such as hiking into glacial Patagonia, desert treks on camelback in Morocco or cruising to Vietnam’s timeless floating villages, members can indulge in once a lifetime experiences like cooking alongside renowned chefs Daniel Boulud and Eric Ripert, or honing football skills in a master class with Hall of Fame wide receiver Jerry Rice. Throughout 2019, Marriott will bring Marriott Bonvoy to life with a series of experiential events for members taking advantage of the company’s marketing partnerships with iconic brands including the NCAA and the FIA Formula One™ World Champions, Mercedes-AMG Petronas Motorsport, as well as through sponsorships such as the Oscars®, Coachella Valley Music and Arts Festival, Dubai Jazz Festival, The Hong Kong Sevens and World Golf Championship – Mexico Championship. On August 18, 2018, Marriott launched one loyalty program with unified benefits under its three legacy loyalty brands — Marriott Rewards, The Ritz-Carlton Rewards and SPG. On February 13, the combined program completes its integration under one name, Marriott Bonvoy. With Marriott Bonvoy, members will have access to Marriott’s portfolio of diverse brands including the largest collection of lifestyle and luxury properties. Whether it is sun-soaked overwater bungalows at The St. Regis Maldives Vommuli Resort, mountain-side resorts nestled against ski slopes like at The Westin Resort and Spa Whistler, beachfront properties hugging pristine sands like at The Ritz-Carlton, Bali, to iconic urban towers offering panoramic views like at the JW Marriott Marquis Hotel Dubai, or former palatial residences like The Gritti Palace, a Luxury Collection Hotel (Venice), Marriott Bonvoy provides members an unparalleled offering of experiences together with the opportunity to earn desirable member benefits. Since Marriott introduced the unified loyalty benefits under Marriott Rewards, The Ritz-Carlton Rewards and SPG last August, members have been able to seamlessly book stays and earn and redeem points across the entire portfolio and achieve Elite status faster with new Elite tiers. Members now earn on average 20 percent more points per dollar spent. – Marriott Bonvoy Titanium Elite will replace Platinum Premier Elite for members who surpass 75 nights. – Marriott Bonvoy Ambassador Elite will replace Platinum Premier Elite with Ambassador. This top Elite status tier recognizes members who surpass 100 nights and more than $20,000 in spend annually. These members enjoy the highest level of personalization with a dedicated ambassador to help plan their travel and cater to their needs one-on-one. Marriott Bonvoy will usher in a new mobile experience. Members currently using either the SPG or The Ritz-Carlton Rewards apps are encouraged to download the current Marriott app now which will automatically update to become the Marriott Bonvoy app on February 13. The SPG and The Ritz-Carlton Rewards apps will be deactivated on that date. Members can learn more about Marriott Bonvoy at MeetMarriottBonvoy.marriott.com where they also can watch a short video describing the new brand. To download the media kit including images and video, please click here. To learn more about the loyalty program benefits, please visit www.marriott.com. Marriott Bonvoy is the company’s new travel program built on the belief that travel enriches its members and the world around them. Launching in February 2019, Marriott Bonvoy replaces Marriott Rewards, The Ritz-Carlton Rewards and Starwood Preferred Guest (SPG). Comprised of a portfolio of extraordinary brands where you can earn and redeem, as well as offering approximately 120,000 destination tours and adventures on Marriott Bonvoy Moments, the travel program enables members to explore the world in pursuit of their passions. Under Marriott Bonvoy’s five Elite tiers, status is more achievable than ever. With a single currency, earning and redeeming points is faster and simpler, and members can accelerate the points they earn with co-branded credit cards from Chase and American Express. When members book direct on Marriott.com they receive all the perks that come with Elite status, including, free and enhanced Wi-Fi and exclusive member-only rates, and on the Marriott app they enjoy mobile check-in and checkout, Mobile Requests and, wherever available, Mobile Key. In addition to featuring a powerful travel program, Marriott.com also offers 30 extraordinary brands to book, endless experiences and the best available rates. To enroll for free or for more information about Marriott Bonvoy, visit MeetMarriottBonvoy.marriott.com. To download the Marriott app, go here. Travelers can also connect with Marriott Bonvoy on Facebook, Twitter and Instagram. Mein Name ist Lars und ich bin seit über 20 Jahren als Vielreisender unterwegs. In dieser Zeit war es mir möglich die höchsten Status bei verschiedenen Kundenbindungsprogrammen von Hotel- & Fluggesellschaften zu erreichen und zu halten – teilweise sogar als Lifetimestatus. Damit auch andere in den Genuss dieser Vorzüge kommen, vermittle ich hier mein Wissen & halte ich Sie über alle News zum Thema Hotels, Kreditkarten & Airlines auf dem Laufenden.